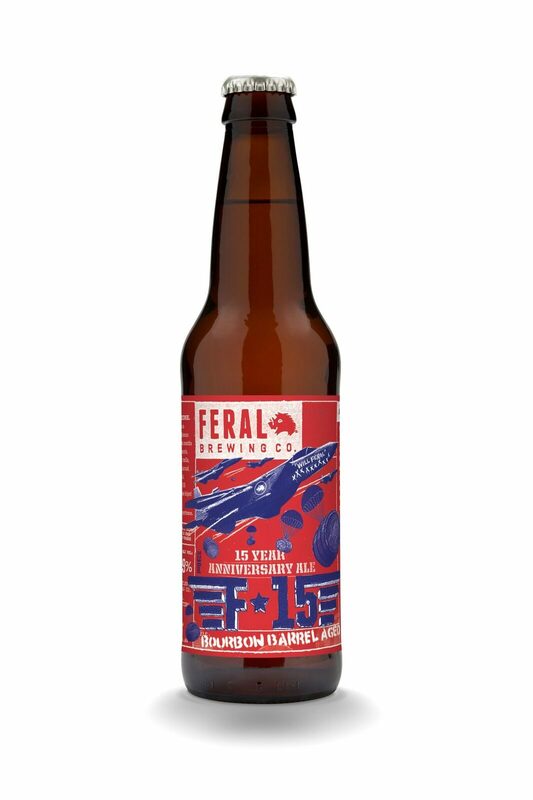 F-15 - Feral Brewing Co.
A dogfight 15 years in the making, this anniversary ale celebrates all the Mavericks who helped us throughout all our brewing adventures. Aged for six months in Heaven Hill Distillery bourbon barrels, this F-15 delivers a payload of toasty, malty chocolate flavours and smooth caramel toffee notes. Packed with undertones of vanilla, coconut, oak, dark dried fruit, tobacco and charcoal, it creates a luscious mouth feel. This special brew also pays tribute to the weird and wonderful WIll Irving, as he’s knocked up more flight hours in the Swan Valley brewhouse than we’ve got knocked up geese. A champion in the brewery, he’s crafted one of the most diverse and respected ranges of beer anywhere on earth. Australia’s beer landscape today is an infinitely better place thanks to him. Cheers mate!